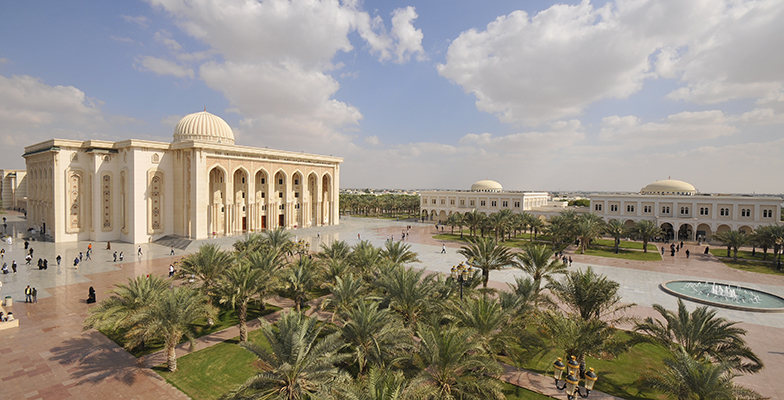 The American University of Sharjah’s Writing Center announced February 24 the winners of its Novel Writing Competition, in which participants were required to submit the first chapter of an original story. Her winning chapter follows a boy suffering from anxiety who uses an advanced version of escapism to seek refuge from his life. Her chapter is a psychological thriller following a woman’s thoughts regarding the voices she hears. Excerpts of the winning chapters will be published in the Writing Center’s newsletter, Inkblot, and posted on its social media pages. Writing Center Director Dr. Maria Eleftheriou said that the winners showcased strong writing skills and good character building, and created engaging chapters that “really hooked us from the beginning.” She said that she and Writing Center tutee Dina Alnajdawi judged the submissions, taking everything into consideration, including creativity and description. Dr. Eleftheriou encouraged students to participate in future competitions because they are an enjoyable outlet for creativity that will also “help improve their writing” and give them a sense of accomplishment. According to Dr. Eleftheriou, the competition was launched in November 2018 when the Writing Center tutors wanted to do something special for National Novel Writing Month. They decided to start something that would encourage people to write their own novels, she added. Dr. Eleftheriou said she hopes the Writing Center continues to hold the novel writing competition and similar ones in the future. Then, her novel was shortlisted for the Giller Prize, a top literary award in Canada, and since then, she has been receiving various offers and deals, Dr. Eleftheriou added. “A little tiny bit of writing can lead to something big, but it takes time,” Dr. Eleftheriou said.